When it comes to maintaining security at your residence, the importance of security door locks cannot be denied under any circumstances. They are simply indispensable in ensuring your safety and that of the people who live with you. High security door locks can be installed in different areas of the house, especially those sections which are vulnerable to attacks from hostile intruders. If you are not satisfied with the existing locks on your door, then you can always look for reliable locksmith services in the area to install the safest locks that money can buy. The front door is usually prioritized by homeowners when they are trying to beef up the security at their residence. That being said, it is important to make sure that the exterior door and the windows have been secured as well, as these are soft targets for intruders, especially burglars who are looking to make a quick escape. You can request a local locksmith company to install double dead bolt security locks on your doors to make it nearly impossible for intruders to break into your house. It goes without saying that the double deadbolt locks are extremely difficult to breach and will provide maximum security to your residence at a reasonable cost. Furthermore, you should consider installing security locks that prevent the door from being opened even after the burglar has succeeded in picking the lock. This sounds like an improbability, but there are plenty of high quality locks out there in the market that can provide you with this feature. This takes the effectiveness of the lock to a whole new level and buys you enough time to catch the intruders red handed and call the cops. When selecting the best locks for your doors, choose ones that have a strike box instead of a simple strike plate. If you have locks that are made up of strike plates, then you can have the plates replaced by a strike box without having to change the locks themselves. 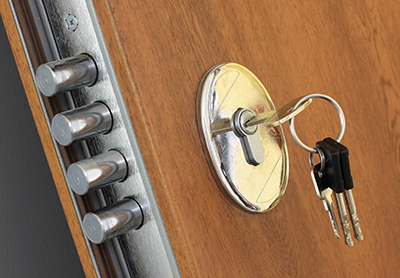 Once again, this is where the services of an expert residential locksmith can prove to be invaluable. These professionals have plenty of experience with residential security and can install an impenetrable master lock at your home. Many homeowners try to install security locks on their own after going through a couple of DIY tutorials on the internet. Even though these tutorials can be helpful at times, installation of such locks are better left to professional locksmiths who are well aware of how to make homes as secure as possible.